(Washington, D.C.) — Rep. Rush Holt (NJ-12) today introduced the Anthrax Attacks Investigation Act of 2009, legislation that would establish a Congressional commission to investigate the 2001 anthrax attacks and the federal government’s response to and investigation of the attacks. The bipartisan commission would make recommendations to the President and Congress on how the country can best prevent and respond to any future bioterrorism attack. The attacks evidently originated from a postal box in Holt’s Central New Jersey congressional district, disrupting the lives and livelihoods of many of his constituents. Holt has consistently raised questions about the federal investigation into the attacks. Under Holt’s legislation, the commission would be comprised of no more than six members of from the same political party. The commission would hold public hearings, except in situations where classified information would be discussed. The commission would have to consult the National Academies of Sciences for recommendations on scientific staff to serve on the Commission. The Commission’s final report would be due 18 months after the Commission begins operations. I’ve written repeatedly and at length about the huge questions that still remain with regard to the anthrax attacks, with a particular focus on the early and quite successful efforts (aided by ABC News’ Brian Ross ) to blame the attacks in the public’s mind on Saddam Hussein, followed by the extremely unconvincing FBI assertion last year that it was now-deceased U.S. Army research scientist Bruce Ivins, and Ivins alone, who perpetrated that attack. The FBI’s case is riddled with glaring inconsistencies and numerous internal contradictions, enormous evidentiary holes, and pretenses of scientific certainty that are quite dubious (my interview with a scientist specializing in biosecurity over some of the scientific holes in the FBI’s case is here ). Doubts about the FBI’s case continue to emerge . Holt’s skepticism about the FBI’s claims is notable for several reasons. 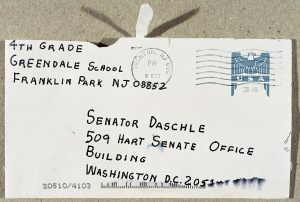 It was Holt’s Congressional district from which the anthrax letters were apparently sent, and the attacks imposed a serious disruption on the lives of his constituents. More significantly, Holt, who is a member of the House Intelligence Committee, is a trained physicist. Before entering Congress, he taught physics as a faculty member at Swarthmore College and also headed the State Department’s Nuclear and Scientific Division of the Office of Strategic Forces during the Reagan administration. Both his interest in this matter and his knowledge of it are at least as great as any other member of Congress. That he maintains extreme skepticism over the FBI’s case and vehemently believes in the need for an independent investigation should, by itself, be quite compelling to any rational person (I interviewed Holt about the anthrax case in September of last year — here ). In the wake of the FBI’s accusations against Ivins, the science journal Nature flatly declared in its editorial headline — “Case Not Closed” — and demanded an independent investigation into the FBI’s case. After the FBI publicly disclosed some of its evidence against Ivins, The New York Times reported “growing doubts from scientists about the strength of the government’s case.” The Baltimore Sun detailed that “scientists and legal experts criticized the strength of the case and cast doubt on whether it could have succeeded.” Dr. Alan Pearson, Director of the Biological and Chemical Weapons Control Program at the Center for Arms Control and Non-Proliferation — representative of numerous experts in the field — expressed many of those scientific doubts and demanded a full investigation . This morning, beginning at 10:00 a.m. EST, the Senate Judiciary Committee is holding a hearing on Sen. Leahy’s proposal to create a Truth Commission to investigate detention, interrogation and surveillance crimes of Bush officials. That hearing can be watched here . Unraveling these strings — patiently and methodically, though relentlessly — is how one event can lead to another , how one disclosure can lead to others, and the entire ball can become unwound.